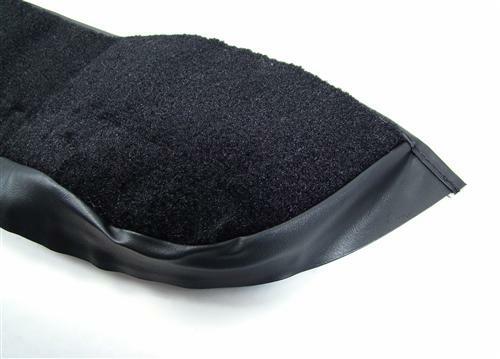 Freshen up the door panels on your Fox Body Mustang with 1987-1989 Mustang Lower Door Panel Carpet in black from ACC! 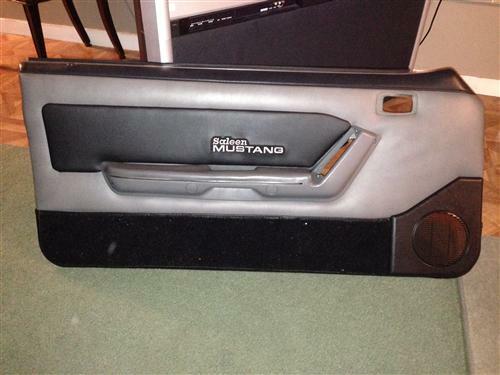 Replacing the door panel carpet in your Mustang is an easy way to spruce up its interior. Our high-quality ACC Mustang lower door panel carpet is pre-cut to fit your Mustang for a seamless, OE look and features a sewn finished edge for a show quality appearance. 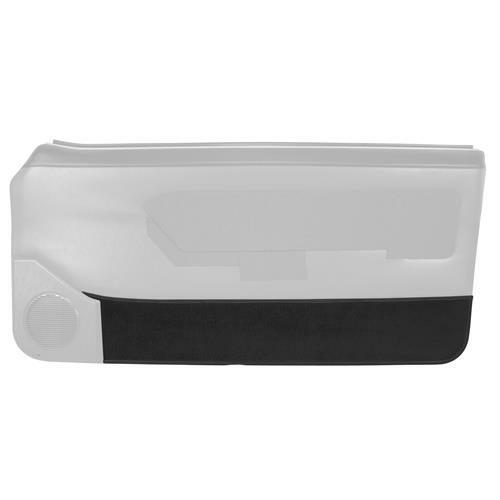 For installation, you will need to first remove the door panel. On the backside of the door panel, you will need to pry out the staples holding in the door carpet with a small flat head screwdriver. Once all the staples are out, pull the door carpet away from the door panel starting at the bottom, the carpet will be stitched in at the top. Once you have it pulled away to use a sharp knife to cut the stitching and remove the door carpet. Once you reach this point you have a few options. For best results, we recommend taking the door panel to an upholstery shop to have them re-stitch the Mustang door panel carpet back into place. 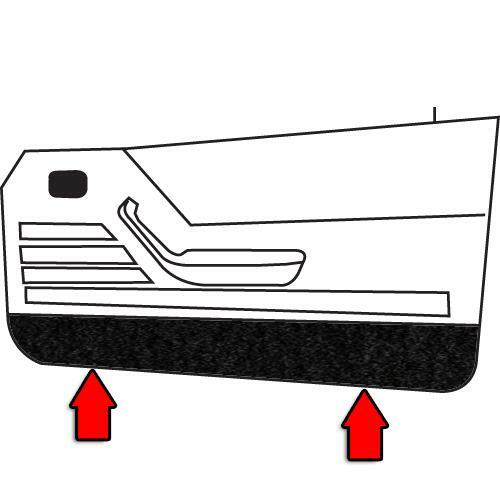 Another option is to apply spray adhesive to the lower door panel and the back side of the door carpet. The spray adhesive method will not have the longevity that the sewing method will but will work in a pinch. If you decide to have an upholstery shop stitch the door panel carpet into place it is still recommended to use spray adhesive for a rock solid install. 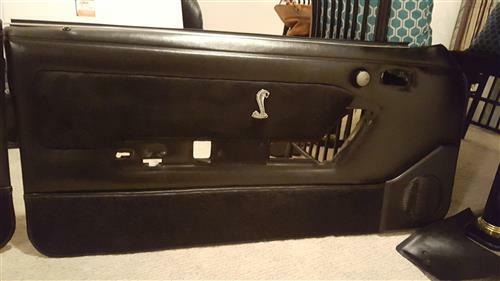 Once you have the door panel carpet secured to the front side of your Mustang's door panel you can turn your attention to the rear. Simply staple the carpet back into place using 1/4" staples, reinstall the door panel and you're done! Now just sit back and admire your handiwork!